PhotoGizmos is an independent magazine that reviews accessories, add-ons and gadgets that the other sites don’t review. PhotoGizmos reviewers are a mix of working professional photographers as well as the average weekend shooter who simply loves photography. A professional photographer since 1992, Frank Ruggles has done nearly every type of commercial photography, from architecture and photo journalism to product and scientific photography to portraiture and weddings. Prior to his assignment with the National Park Service, he worked with a number of federal government agencies, including the Departments of State, Commerce, Energy and Defense, the FBI, and the Smithsonian Institute. He recently finished his tour with the National Park Service and is preparing his private works for gallery exhibitions across the country. 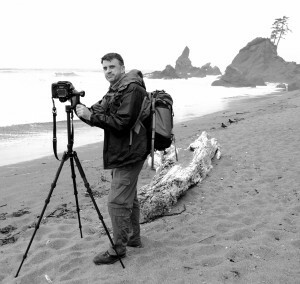 He teaches Photography through his popular “Hike and Shoot” workshops. Lee Love is a Washington, D.C. based advertising and editorial photographer. While his normal photography tools involve pre-production, lighting setups and medium format camera systems, he enjoys Gizmos and Gadgets as much as the rest of the PG team.